The long-awaited tribute to Joni Mitchell in her hometown of Saskatoon attracted not only local friends and fans, but also one of the world's most influential news organizations. CNN was in Saskatoon on the weekend for the dedication of two plaques to the iconic singer-songwriter. One was in front of the Broadway Theatre, near the former Louis Riel Coffee House (now Calories) where she played some of her earliest professional performances. The other was downtown at River Landing to celebrate the naming of the Joni Mitchell Promenade. For the CNN Travel feature - titled 'Joni Mitchell's hometown finally gives her her due' - the author painted a picture of the city and provided context into Mitchell's relationship with Saskatoon. 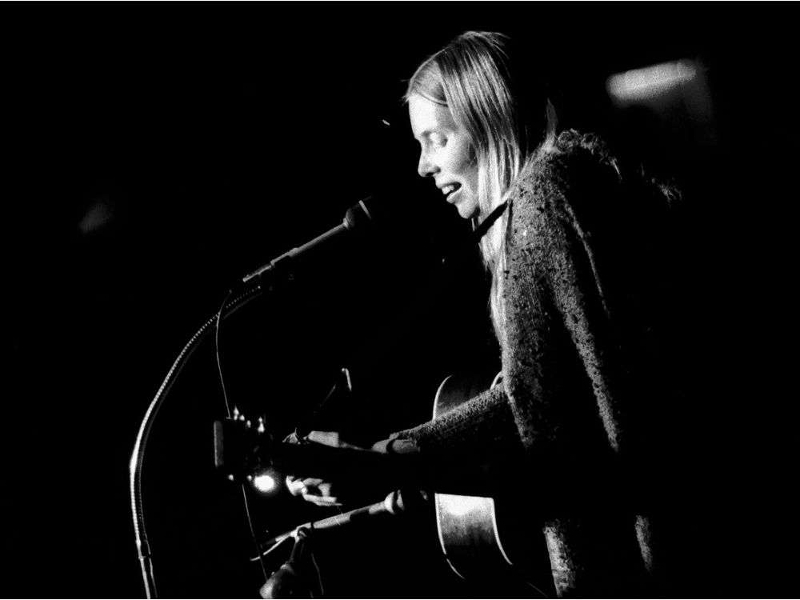 While she attained her fame as Joni Mitchell, she was born Roberta Joan Anderson on Nov. 7, 1943 in Fort Macleod, Alta., and moved with her family to North Battleford after the Second World War and then to Saskatoon during the early-1950s. She spent her formative years in Saskatoon, where she graduated from Aden Bowman Collegiate. "I had such enjoyable teenage years there. I started to play the guitar and paint there. My gifts began there," she said in a 2013 interview with The StarPhoenix. Multiple attempts in Saskatoon had been tried but failed to honour her in a permanent way, ranging from a proposed cultural centre to a prominent statue project to a wing at the Mendel Art Gallery. A frustrated Mitchell said in 2013 that she wanted a collection of memorabilia in Saskatoon returned to her and did not want to be involved in any more attempts to honour her. She said in the same StarPhoenix interview that Saskatoon is an "extremely bigoted community." Mayor Charlie Clark told reporters last month that a group in touch with Mitchell confirmed her support for last weekend's recognition. The group has "been pleased to have Ms. Mitchell's input and approval throughout this process," the City of Saskatoon said in a statement. The story quoted Clark imagining taking a spot on the Broadway Bridge, "and you have a booth where you could put "Both Sides Now" on. Put on headphones, stand here and look at the clouds." The story also quoted Laura Oborowsky, a former employee at the Bessborough Hotel, recalling multiple times Mitchell stayed at the riverbank hotel. "She would order the all-day breakfast super late in the afternoon with a six-cup coffee urn," Oborowsky told CNN Travel. "We would never hear from her before 11 a.m."
Over the course of her illustrious career, Mitchell has won eight Grammys (including a lifetime achievement award in 2002) and was inducted into the Rock and Roll Hall of Fame in 1997. Among her most notable songs are "Both Sides Now," "Big Yellow Taxi" and "Woodstock." Mitchell won her first Grammy award in 1969 and her most recent in 2015. Mitchell was also inducted into the Canadian Music Hall of Fame in 1981, received the Governor General's Performing Arts Award in 1996 for lifetime artistic achievement, was given a star on Canada's Walk of Fame in 2000, and in 2002 was appointed a Companion of the Order of Canada. "Both Sides Now" was performed as part of the 2010 Winter Olympic Games' opening ceremonies in Vancouver. This article has been viewed 696 times since being added on June 13, 2018.